On Saturday, May 7, 2016, the Canton Educational Foundation hosted its Fifth Annual Celebration of Stars Gala at Canton High School. Attendance at this years Gala of almost 200 people demonstrates ongoing community support of the Foundations mission to celebrate academic achievement and teaching excellence for all students in the Canton ISD. The Top Ten graduating seniors were again honored and commended for their academic achievements, leadership skills, and service to the community. In addition, the Canton Educational Foundation scholarship contest invited seniors to submit an essay describing the educator who had the most influence and greatest positive impact on their academic and personal endeavors. Five winners were selected, and each was awarded a $500 scholarship. These students and the educators they nominated also received special recognition at the event. 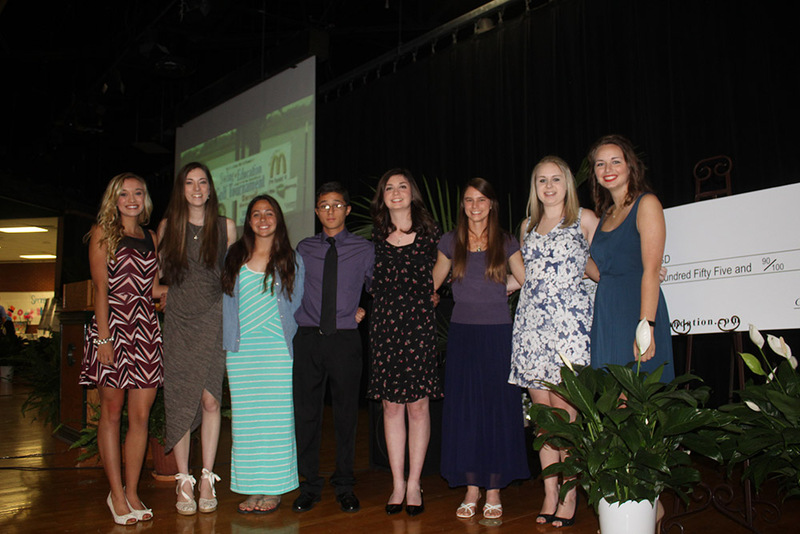 The 2016 Top Ten graduates were: Emily Nicks, Samantha Oakley, Andrew Hamel, Ashley McDonald, Cassie Carnine, Devin Hilsabeck, Fernando Lopez, Jenna Stanley, Justine Lewis and Lindsey Lamar. The 2016 Essay Winners and their recognized teachers were: Ashley McDonald/Cheryl Bridgefarmer, Bailee McArter/Angela Russell, Holly Raitz/Robbie Simonek, Lindsey Lamar/Susie Dorman and Mason Baugh/Teresa Fedor. Live and silent auctions, donations and sponsorships from local individuals and businesses totaled approximately $34,000. We look forward to using these funds to award innovative teaching grants to Canton ISD teachers in the spring of 2017 and to continue awards for the Scholarship Essays.